Nidd Valley Railway Heritage SocietyAfter a campaign by local mill owners and landowners lasting over forty years, the Nidd Valley Branch of the North Eastern Railway was finally opened on 1st May 1862. 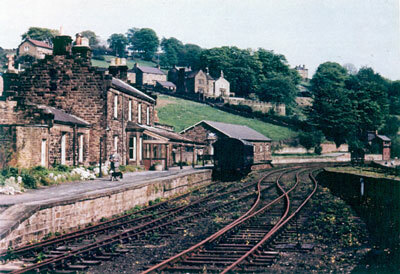 Leaving the old Leeds and Thirsk Railway at a junction north of the Nidd Viaduct near Killinghall, the branch wound its way up Nidderdale to its terminus at Pateley Bridge. Built to transport mainly linen, limestone and lead from Upper Nidderdale and import coal and fresh produce, the line made a great impact on the Dale particularly in farming practices. 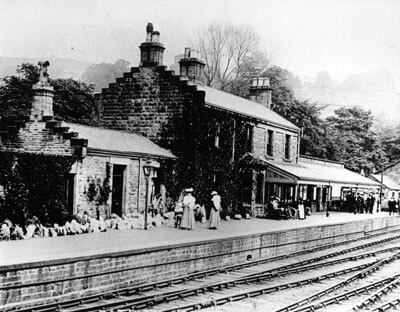 The railway companies saw the potential for tourism and promoted excursions from the industrialised West Riding to ‘Little Switzerland’ in the upper reaches of the Dale. The closure of the lead mines in the 19th century and most of the quarries in the early 20th century saw a decline in the traffic on the branch. However, the reservoir construction schemes of Bradford Corporation boosted the use of the line till the mid-1930s. Following the Second World War and the nationalisation of the railways under the British Transport Commission the line was allowed to whither and passenger services ceased in 1951. The daily goods pick-up service lingered on until 1964 when the line finally closed.